iPhone, iPad, iPod Touch, and Mac. We followed up the popular Manual for the United States of America app with a Second Edition, redesigned for the next generation of the iPad. Along with the documents and presidential/state facts found in the original version, we have added more visual and timely information presented with higher resolution images. 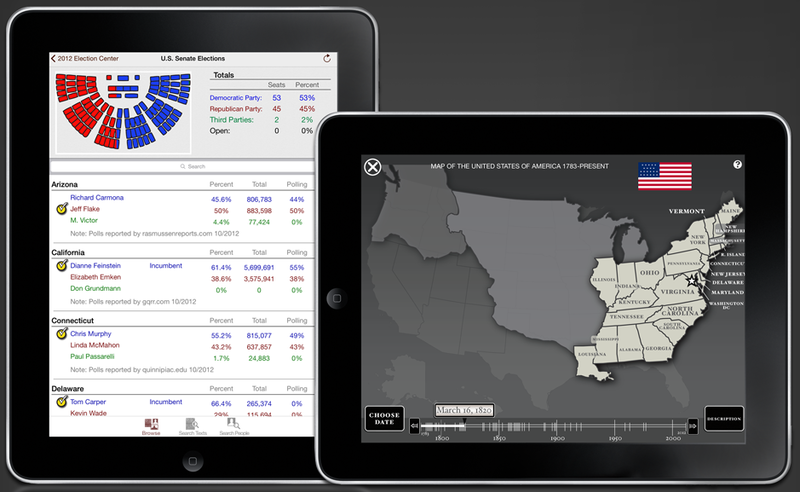 New features include news headlines, contact information for government officials, an interactive U.S. map, and a 2012 Election Center. We encourage you to explore different areas of the app to find the special sections with more information about the flag, the founding fathers, and important government buildings. The First Edition is still available for iPhone and iPod Touch here.